Suitable for residential, commercial, industrial structures, bridges and dams, highways, high-rise buildings, runways etc. 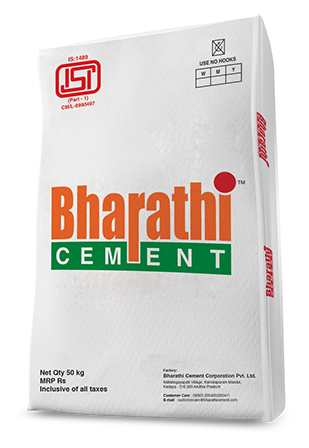 Ordinary Portland Cement (OPC) 53 Grade which surpasses the requirements of IS12269-1987 Grade. It is produced by inter grinding of high grade clinker (with high C3S content) and right quality gypsum in predetermined proportions. It is recognized for its high early strength and excellent ultimate strength because of its optimum particle size distribution, superior crystalline structure and balanced phase composition and hence widely used and suitable for speedy construction, durable concrete and economic concrete mix designs. Low percentage of alkalies, chlorides, magnesia and free lime results in longer life of concrete structures. Suitable for Residential, Commercial, Industrial Structures, Bridges And Dams, Highways,high-rise Buildings, Runways etc. Recommended for all types of RCC Structures, Concrete Blocks, Electric Poles, Paver Blocks Etc.